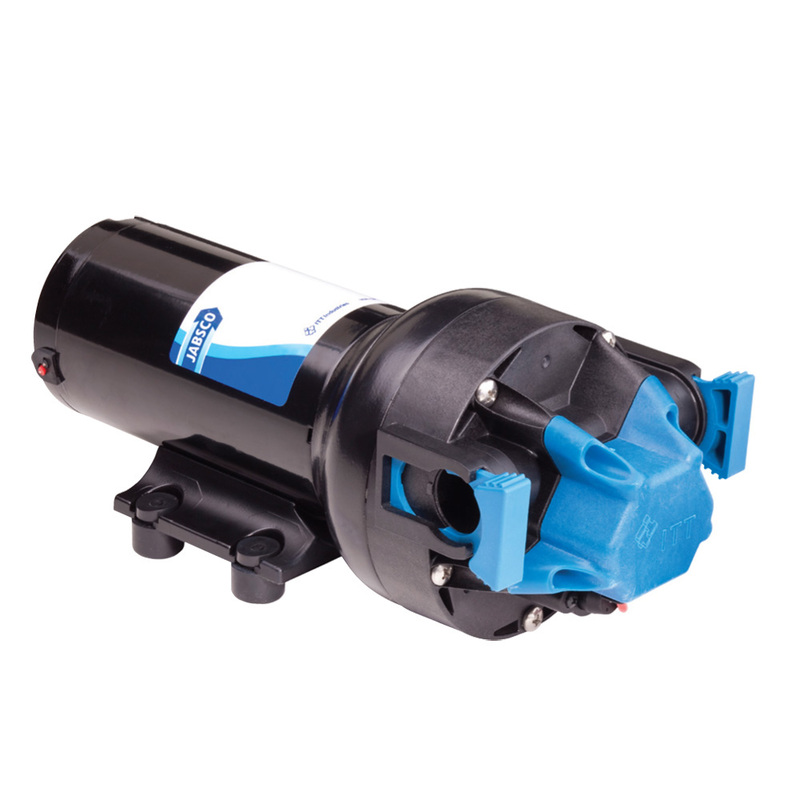 The high pressure capability of the new Jabsco Par-Max Plus Series water pressure pumps, provides exceptional flow and consistent water pressure to easily handle the demand of multiple outlets. All Par-Max Plus models include soft rubber mounts and quick connect fittings for ease of installation. The patented Par-Max Plus co-injected molded diaphragm and larger heavier duty motor brushes significantly extend pump life up to 50% longer than existing Jabsco Par-Max Series diaphragm pumps.